Nowadays, distributed and mobile systems are acquiring importance and becoming widely extended for supporting ubiquitous computing. In order to develop such systems in a technology-independent way, it is important to have a formalism that describes distribution and mobility at a high abstraction level. Ambient Calculus is a formalism that allows the representation of boundaries where computation occurs. Also, distributed and mobile systems are usually difficult to develop as they need to take into account functional and non-functional requirements and reusability and adaptability mechanisms. In order to achieve these needs it is necessary to separate the distribution and mobility concerns from the rest of the concerns. 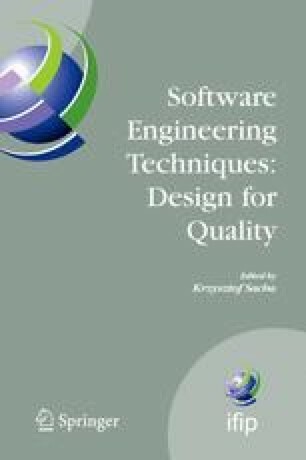 PRISMA is an approach that integrates the advantages of Component-Based Software Development and Aspect-Oriented Software Development for specifying software architectures. In this paper, we describe how our work combines Ambient Calculus with PRISMA to develop distributed and mobile systems gaining their advantages.